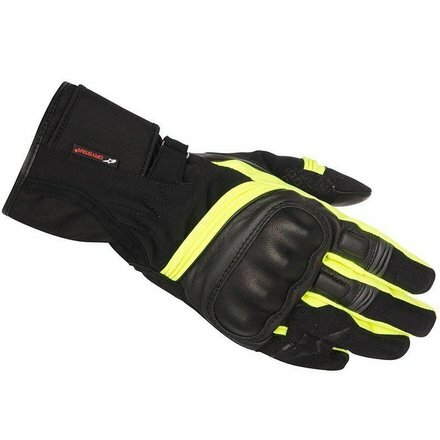 Veratile touring and adventure gloves. 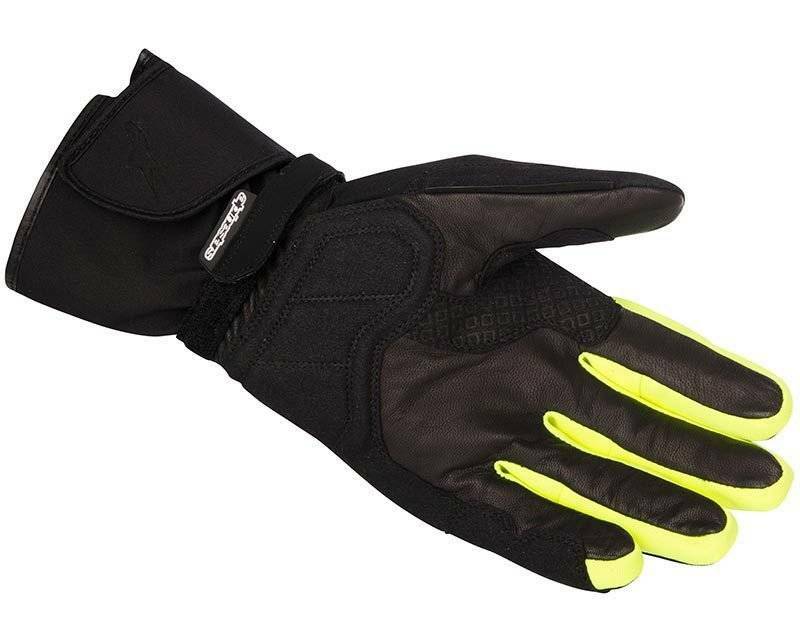 The DRYSTAR® waterproof and breathable membrane in this versatile adventure touring glove, together with an insulating membrane, ensures excellent levels of performance whatever the weather. 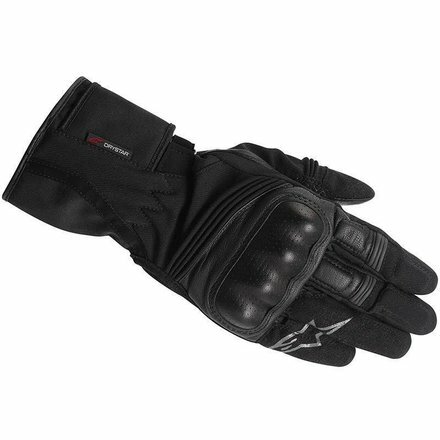 Protective features such as the knuckle protection and Alpinestars’ patented finger-bridge add to the Valparaiso’s robustness while a Velcro® wrist closure affords a highly customizable fit. 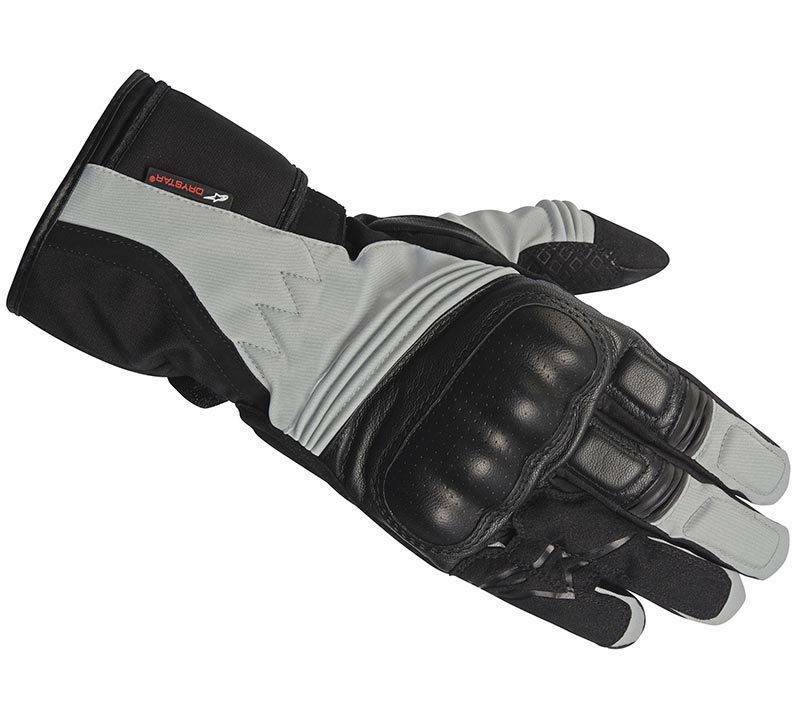 Leather, suede and advanced poly-fabric textile construction incorporating the innovative MCFit™ material technology to offer optimized grip, waterproofing and breathability thanks to a DRYSTAR® membrane. 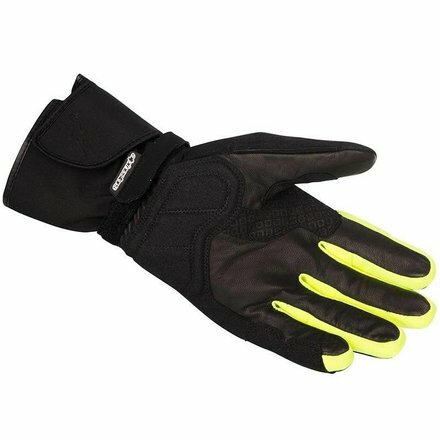 MCFit™’s sealed triple layer construction affords a highly reduced material construction to promote dexterity and sensitivity of bike controls. Insulated membrane for excellent heat retention performance in colder climates. 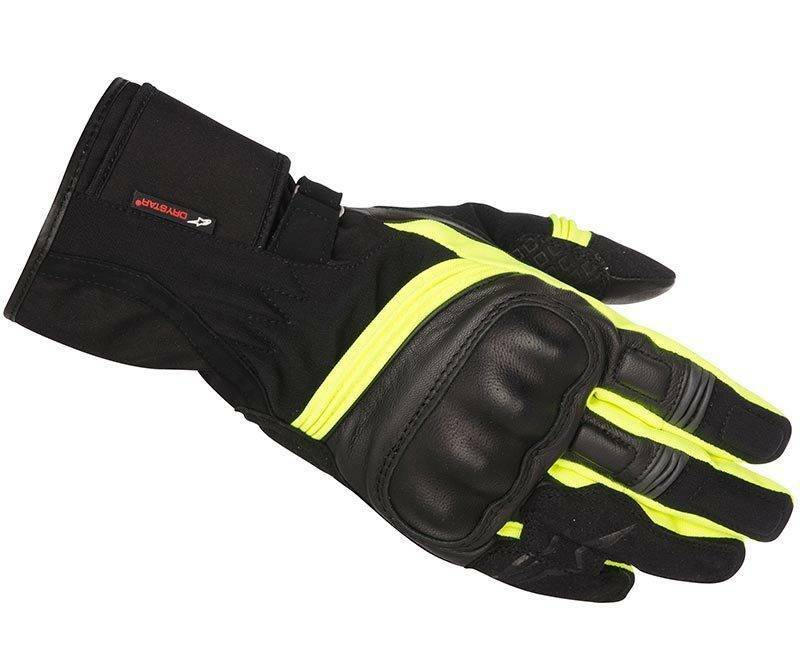 Over molded, advanced PU knuckle protection covered by leather for styling and durability. Flexible accordion poly-fabric panels on fingers, thumb and back of hand for increased maneuverability and fit. Leather palm with suede reinforcements on palm, fingers, thumb and heel of hand. 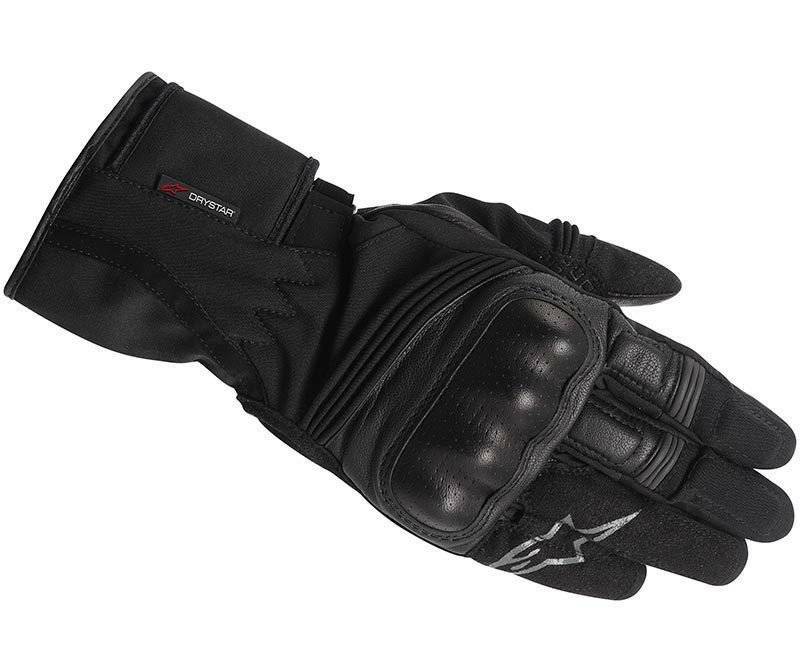 Dual Velcro® wrist closure system ensures fully adjustable, weather-tight closure. EVA foam padding on fingers, thumb and wrist. Convenient soft TPU visor wipe on left hand.